I like summer, but it doesn't really feel like we've had much of one this year, so I have been keenly awaiting the arrival of autumn. As soon as September arrived, the temperate dropped and the evenings are now cool enough for me to snuggle under a blanket and think about how I should really get on with knitting that winter hat for Ember. I will, at some point, actually start it, but it takes me a good few weeks of thinking about before I pick up my needles. After months of wearing vest tops and summer dresses, my mind is now focused on clothes for cooler weather. I need to stock up on warm jumpers and long-sleeved t-shirts and, best of all, some winter boots. I hate doing the school run in trainers when it's raining, my feet end up drenched by the time I arrive home. 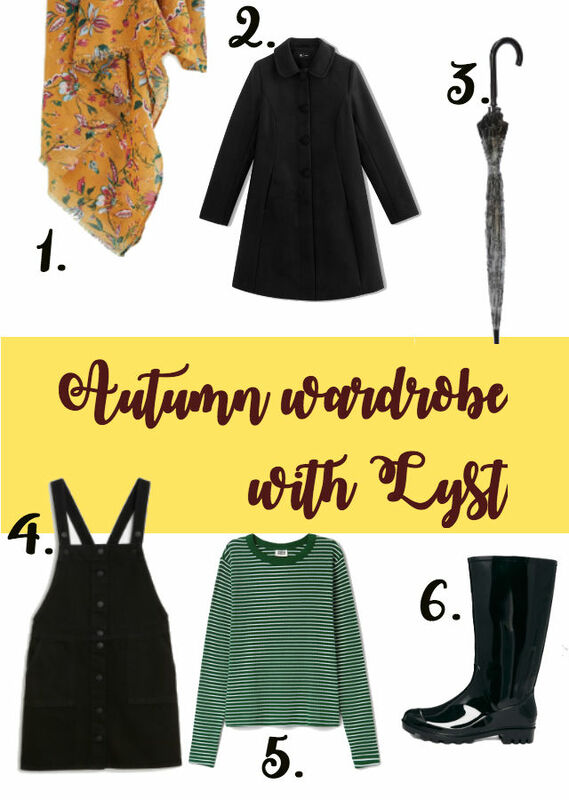 https://www.lyst.co.uk/Online shopping portal Lyst asked me if I'd like to put together some of my favourite pieces from their site, so I figured I would share my top autumn picks. Obviously, my school run duties leave me loving practicality and clothes that will shield me from the rain so that's what I've focused on. Bare legs and cropped tops might be ok for the young, but they're no good for me when I'm running down the street in the rain because I'm about to be late for pick up. This is was inspired by Lyst.